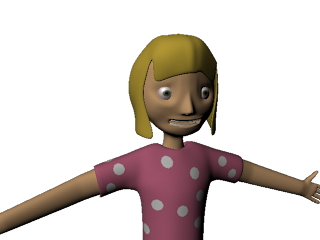 Round two on the face, it's gone much better, it should be animation-friendly, and it doesn't have that unsightly weird rippling effect on the side of the face like the last version did. I've also deleted a few loops of edges along the limbs that I don't think I needed. 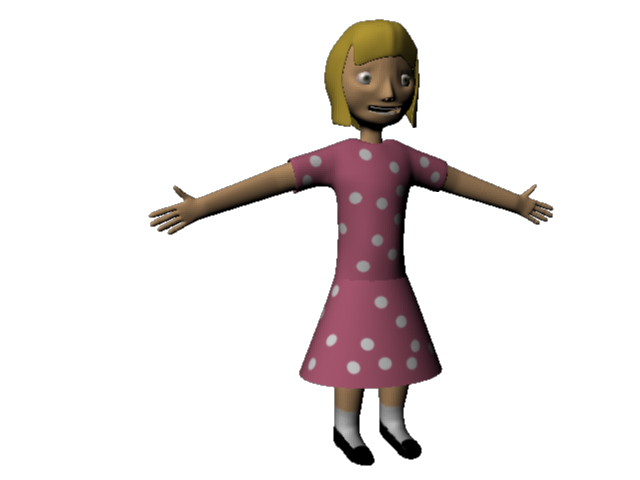 Next up, modelling the girl. 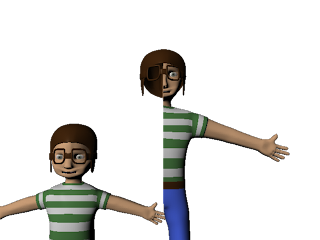 The older versions of each will be made by scaling up the models. Cheeky, but it'll save time and do just as good a job. 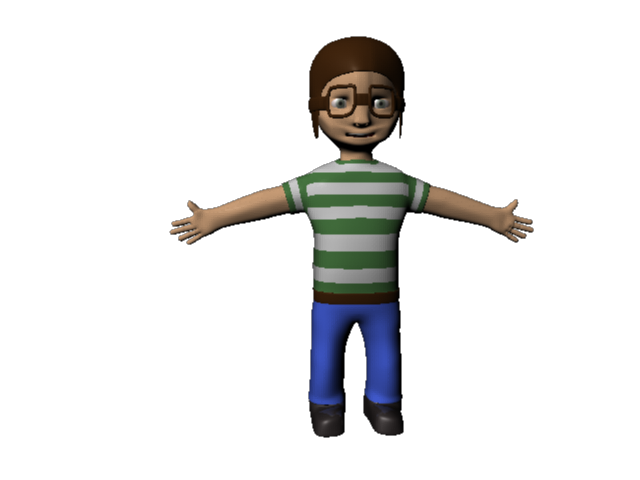 Here he is, in colour. 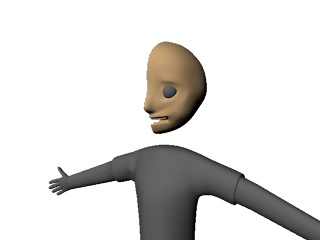 Next time I model a head and face, I'm going to try a different method. Getting rid of the creases on this one is pretty tough. 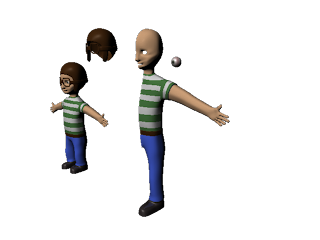 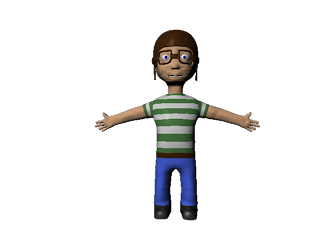 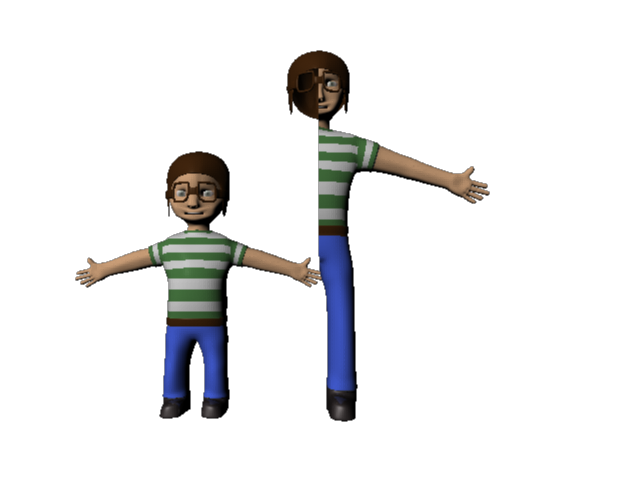 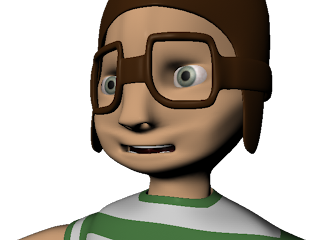 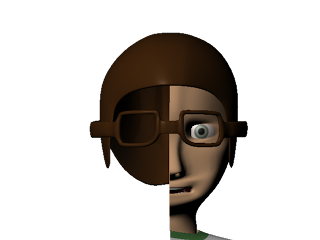 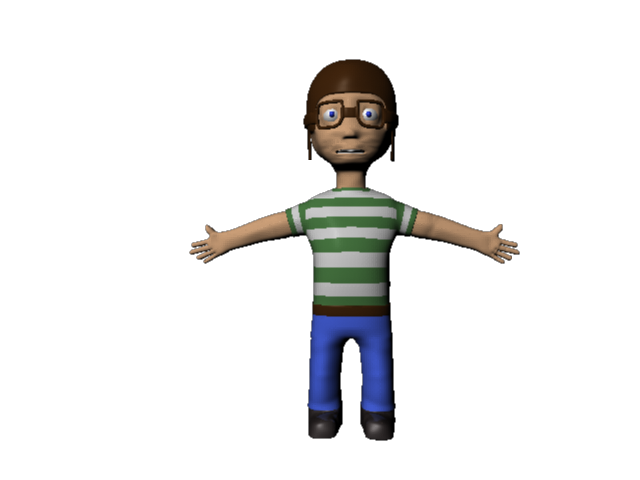 Still, I'd say it's a significant improvement on my last character modelling. I cut it in half again. Maya's not being particularly smooth at the moment. 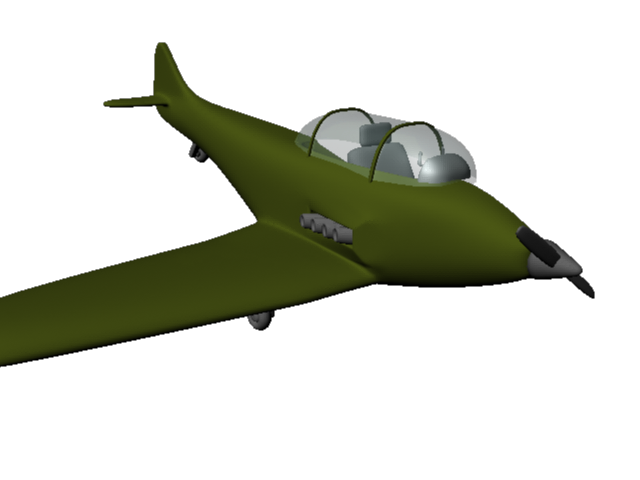 Exhausts, propeller, seat and controls. I don't think anything else needs modelling. 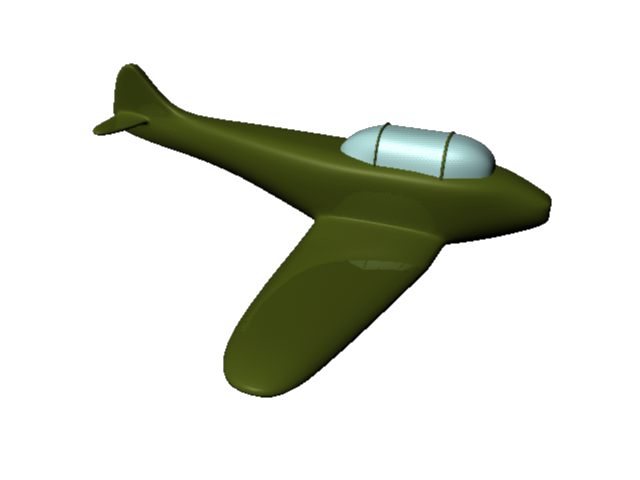 The propeller and wheels. 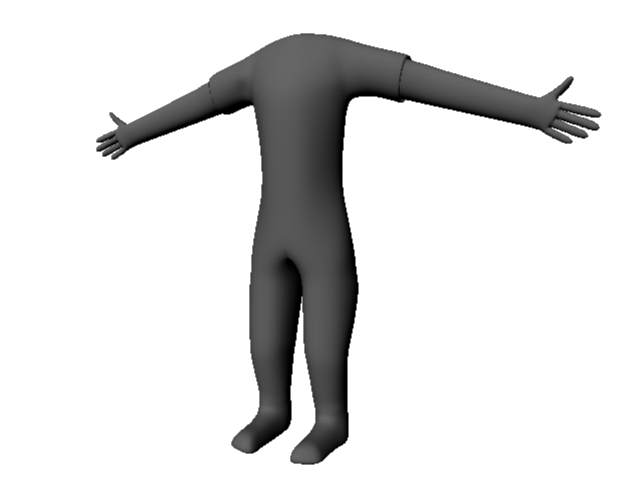 Using 3-smooth in maya, you can get away with a surprisingly small amount of polygons. 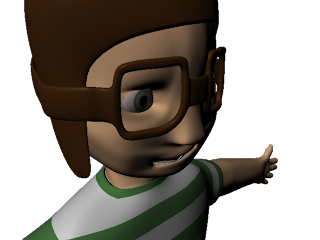 The wheels are made from a torus, with a total of 16 polygons. 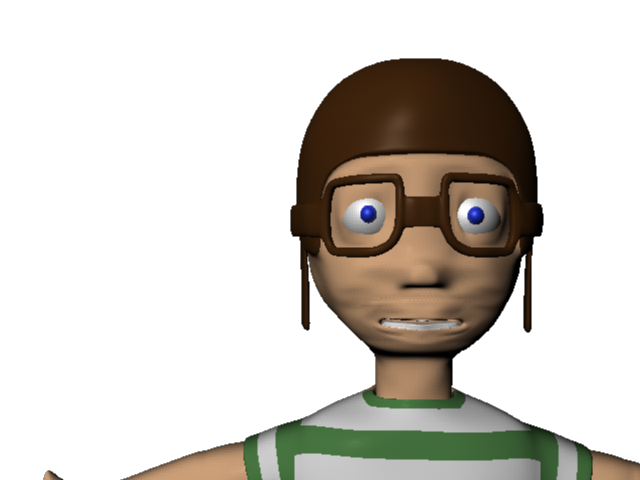 It's a bit too shiny. 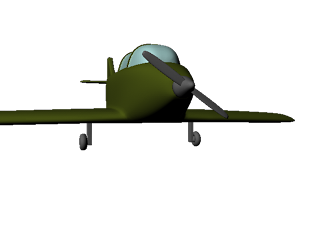 It looks really basic too, I'll see about improving that. 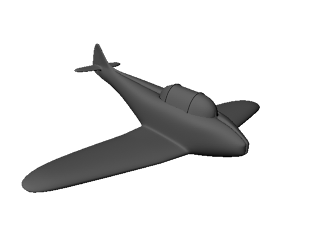 I'm adding wheels now. There will be a propeller on the front, and an exhaust. Don't worry, there is another wing. Unsure as to whether I want to UVW unwrap it or not. This is the plane so far. Left to do - make a seat, make a steering wheel type thing and a dashboard. 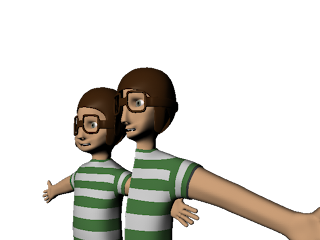 And of course, stick it together. I'd've done that now but a man's got to sleep!